Current Affair of 27 March 2018, Exam View. The satellite will provide a platform for developing technologies such as demonstration of 6m S-Band Unfurlable Antenna, handheld ground terminals and network management techniques. 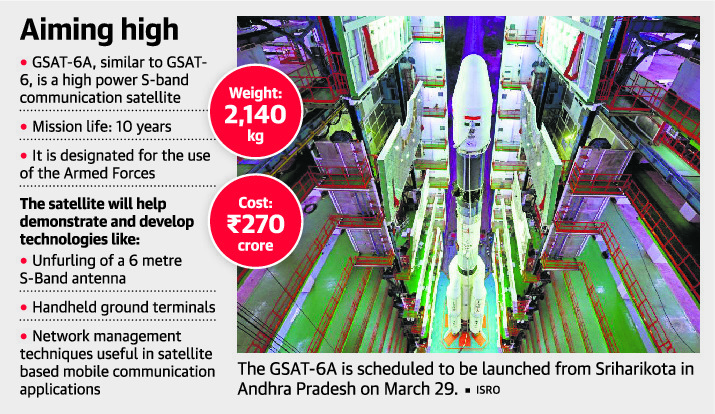 The satellite life span of around 10 years will be put into orbit by the Indian rocket, Geosynchronous Satellite Launch Vehicle (GSLV-F08). The Unique Identification Authority of India has announced to roll-out face authentication feature by July 1 2018 to add another layer of security for inclusive authentication of Aadhaar card holders and avoid the issues regarding fingerprint authentication. Provide additional choice to those facing issues with their fingerprint or iris authentication. Face-feature with liveness detection can be used as an additional tool to increase security. Face authentication will only be used along with the fusion of previous authentication tool –fingerprint, iris scan or OTP authentication. ISRO uses Li-Ion batteries as power sources for satellite and launch vehicle applications due to their high energy density, reliability and long cycle life. Lithium ion batteries are more reliable than older technologies such as nickel-cadmium. Lithium-ion batteries don't contain cadmium, a toxic, heavy metal. It is used in every modern cell phone, laptop, tablet, and most other rechargeable gadgets. DeendayalAntyodayaYojana – National Rural Livelihoods Mission (DAY-NRLM) is one of the flagship programmes of the Ministry of Rural Development, Government of India to alleviate rural poverty. The programme aims to organize the rural poor women into their own institutions like Self Help Groups and their federations, Producers’ Collectives etc. and also ensure their financial inclusion and livelihoods support. Mount Etna - Europe's tallest active volcano - is sliding toward the sea which could have "devastating consequences", scientists have warned. A team of British experts has discovered the giant volcano on the east coast of the island Sicily, Italy, is edging closer to the Mediterranean Sea by 0.6 inches every year which could result in collapse. Etna is one of the most active volcanoes in the world and is in an almost constant state of activity with a history of violent eruptions. Mr. Modi said on the occasion of Ambedkar’s birth anniversary, from April 14 to May 5 ‘Gram-Swaraj Abhiyan,’ is being organized. As part of the campaign, separate programmes on village development, poverty amelioration, and social justice will be held throughout India. “I urge you all to be a part of this campaign,” he said. Years ago, Mr. Modi said, Ambedkar spoke of India’s industrialization as a means to generate new jobs and push development. 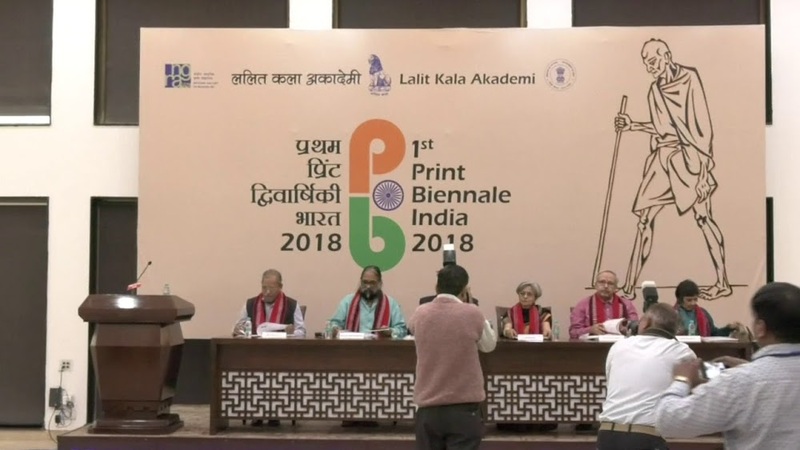 In keeping with its role as the country’s National Academy of Art, the Lalit Kala Akademi is hosting the first-ever International Print Biennale in the country with a record number of 17 countries taking part in it. The first-ever International Exhibition of Graphic Prints ‘Print Biennale India 2018’ recently, at the Rabindra Bhavan Galleries of the Lalit Kala Akademi in New Delhi.